Liquid smoke is a condiment that invites controversy. Barbecue purists roll their eyes and say “no way.” Health groups consistently voice concern over possible health risks. Yet despite all the ‘nay’, there is a strong ‘yay’ with marketing trends showing that the condiment is growing in popularity as a flavor additive. Liquid smoke is made by channeling smoke from smoldering woodchips through a condenser that quickly cools the vapors causing them to liquefy. The water-soluble flavor compounds in the smoke are trapped within the liquid while the insoluble tars and resins are removed by a series of filters. The results is a clean, all natural smoke-flavored liquid that provides a cookout-like flavor when outdoor grilling isn’t an option. Ernest H Wright is credited with introducing liquid smoke in 1895. As a teenager, he worked in a print shop and noticed the liquid dropping from the stove pipe that heated the shop tasted like smoke. Years later as a pharmacist, he experimented and perfected the process of condensing hot smoke from a wood fire to create Wright’s Liquid Smoke which is still sold today and remains as a pure product, smoke and water. Unless liquid smoke has added chemicals or ingredients, it is an all-natural product—just smoke suspended in water. (It should be noted that some brands add molasses, vinegar, and other flavorings so read the label to be sure that it is just smoke and water.) Liquid smoke is used as a flavor additive in a whole host of foods beyond the little bottles on the grocery shelf. It is the source of the smoky flavor in commercial barbecue sauces, bacon, hot dogs, smoked meats, cheeses, and nuts to name a few. The process of adding liquid smoke or smoked flavorings to foods is justification for the use of the word “smoke” on package labeling. What about the health risks? Smoke, no matter the source, contains cancer-causing chemicals. Some of those chemicals persist even in the extracts making liquid smoke a potential cancer risk. Studies have shown that the amount of carcinogenic chemical found in liquid smoke depends on the type of hardwood used and the temperature at which it is burned. Other studies have shown that liquid smoke is less risky than food charred and cooked over smoke. A researcher at NYU found that controlled smoking plus an ensuing filtering process removed most, if not all, of these compounds. Therefore, most experts contend that the concentrations of the carcinogenic molecules in liquid smoke are far too low for any genuine health concerns as one would need to consume far more liquid smoke than most recipes call for to see any effects. Moderation is key with this magical ingredient, so use a light amount (1/4 teaspoon) in dishes for the safest route and if sediment is detected, let it settle and use only the liquid above it. I’m inclined to agree with the barbecue purists–liquid smoke does not replace true smoke, but I enjoy using a little liquid smoke now and again when smoking or grilling is not possible or to step up the flavor of foods and sauces. 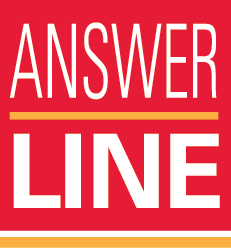 This time of year AnswerLine gets a lot of calls about ham. Ham is meat from the hind leg of pork. It can be fresh, cured, or cured-and-smoked. Hams are either ready to eat or not. Ready to eat hams include cooked hams and prosciutto. Hams that must be cooked will have cooking instructions and safe handling instructions right on the label and you MUST cook them. Typically you cook ham at 325 degrees for 10 minutes per pound or to an internal temperature of 145 degrees followed by a 3 minute rest time. To help keep ham moist and juicy during cooking, place cut side down and tent with foil. Fresh refers to uncured leg of pork. It will have the flavor of a fresh pork loin roast or pork chops. “Fresh” will be part of the product name on the label. The color will be pale pink or beige as opposed to cured ham being a deep rose or pink color and country or dry cured ham being pink to mahogany in color. Hams can be wet-cured, which is very common, in a brine solution containing water, salt, sugar and spices. During this process the solution is injected into the meat before cooking. 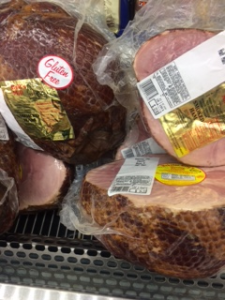 There are three varieties of wet-brined ham. “Ham with natural juices” has little water added during the curing process and results in an attractive appearance with a velvety type texture. “Ham with water added” retains more water during the process and is good for steaks, thin slicing and shaving. A “Ham and water product” has the most water added to it and is most often found at the deli counter. It is a good choice if the ham is going to be served cold. Hams can be dry-cured by rubbing salt and spices into the meat’s surface. They are known as “country-style” hams. Prosciutto is also made using a dry cure. After curing some hams are smoked. This is a process involving hanging or heating the ham in a smokehouse to allow it to absorb smoke from either smoldering fires or generated smoke which gives added flavor and color. When purchasing ham allow 1/4 -1/3 pound per serving if it is boneless and 1/3 -1/2 pound per serving if it is bone-in. If you end up with enough leftover ham you won’t be able to consume it within 3 or 4 days consider freezing the leftovers. FoodSafety.gov has excellent information on ham storage and ham cooking. There are many commercial products available for decorating eggs but if you haven’t ever considered naturally coloring eggs for Easter you might want to! The American Egg Board has many suggestions for decorating eggs including using natural foods to color your eggs. For pinkish red eggs consider fresh beets or cranberries or frozen raspberries. Orange or yellow colored eggs can be successfully dyed using yellow onion skins, ground turmeric, orange or lemon peels, carrot tops, celery seed, or ground cumin. Spinach leaves will produce pale green colored eggs. For blue eggs try canned blueberries or red cabbage leaves. After you have determined which color you want to dye your eggs, place 1, 2, or 3 handfuls of your dye base in a saucepan and add 1 cup of water for each handful of color base. The water level should be at least an inch above the dye materials. Bring to boiling then reduce the heat and simmer for 15 minutes to an hour until you have attained the color you want. Remember, eggs will dye a lighter shade than the color you see in the saucepan. Strain the dye mixture into a small bowl deep enough to completely cover the eggs and add 2-3 teaspoons of white vinegar for each cup of dye liquid. You are then ready to start dyeing your eggs in the warm liquid. Natural dyes require a longer soak time for the color to take hold. 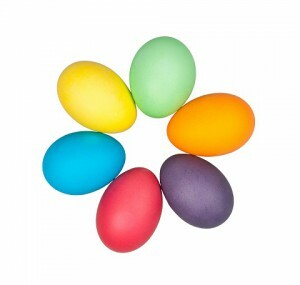 If you want a vibrant color and to be able to eat your decorated eggs you will want to leave the eggs in the dye solution overnight in the refrigerator. Hard cooked eggs are safe to consume for up to 7 days provided they have not been out at room temperature for more than 2 hours. My son just purchased some new bread knives. It caused me to re-evaluate the knives I have in my own kitchen. Knives can seem like an expensive investment but having the right knife for the job can make your time in the kitchen so much more productive and efficient. Some people purchase knife sets. If you are going to use all the knives in the set, that is a good investment. For me there are three knives I find myself reaching for over and over. One is the Chef’s knife. It is very versatile being used for chopping vegetables, slicing meat, and mincing garlic and herbs. It can be from 5-8 inches long, typically 8 inches, and is considered the workhorse of the kitchen. A paring knife is another knife I find I am constantly reaching for. It is usually 3-4 inches long and is perfect for peeling and coring as well as cutting small fruits and vegetables. The third knife I use frequently is the serrated knife, or bread knife. It can be used for slicing crusty bread, of course, and also for cutting very soft fruits and vegetables, like tomatoes. They are usually 9-10 inches long and don’t sharpen very well so need to be replaced every now and then depending on how often you use them. When you get ready to purchase knives, there are a few things to consider. Most importantly is your budget. Buy the best-quality knives you can afford and keep them sharp. A good knife, if cared for properly, can last a lifetime. You will also want to hold the knife in your hand before you purchase. How it feels is basically personal preference. Look for a knife that feels like an extension of your hand. It should feel perfectly balanced, sturdy and comfortable in your hand with an ergonomic grip. You may want to consider if the knife you are looking at is forged or stamped. Forged knives are created when a single piece of molten steel is cut and beaten into the desired shape. Forged knives have a sturdy blade with a heavy bolster (junction between blade and handle) and heel to protect the hand when cutting. They typically hold a sharp edge well. They are less flexible than their counterpart, stamped knives, and generally are more expensive than stamped knives. Stamped knives are created using a cookie-cutter type machine. They are usually the same thickness throughout, except at the cutting edge, and lack a bolster and heel. Their blades are generally lighter and more flexible and they do not hold their edge as well. After you have purchased the knives that are right for your uses, remember to use them on the right cutting surfaces such as a plastic or wood cutting board. Using your knives on a plate, tile, countertop, etc will dull the blades. And using a sharp knife is much safer than using a dull one. Dull knives require more pressure to cut, increasing the chance the knife will slip with the force behind it. 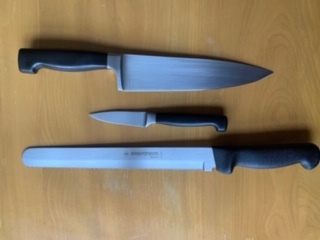 You will also want to care for your knives correctly once you have invested in them. Leaving unwashed knives in the sink or putting them in the dishwasher are no-nos. Besides keeping your knives sharp, hand washing and drying them and storing them in protective sleeves will help your knives work their best and last as long as possible. A frequent question at AnswerLine is “what kind of olive oil should I use?” The question is often asked by those who are new to olive oil or those who have been advised to consider a Mediterranean Diet. As they begin to navigate new territory, they find that there are a variety of olive oil choices. Choosing the olive oil depends on how much flavor is needed, what the cooking usage will be, and the available budget. It also helps to understand the classifications and common marketing terms used on olive oil labels. Here’s a quick primer on olive oils from Fooducate, a blog sponsored by the North American Olive Oil Association. Extra Virgin Olive Oil (EVOO) is the most flavorful and the healthiest olive oil, because it is naturally produced without heat or chemicals. It retains healthy antioxidants from the olives. The range of flavors is very broad, similar to wines. The oil may be strong and peppery, mild and buttery, or anywhere in between. The natural variations result in a wide smoke point range, from about 350 degrees Fahrenheit to about 410 degrees Fahrenheit. This range is high enough for most at-home cooking. Extra virgin olive oil can be used for sautéing, grilling, roasting, baking and pan-frying. To highlight the many flavor profiles, extra virgin olive oil does best in cold applications like drizzling, dipping, dressings and marinades. First Press, Cold Pressed or Cold Extracted – Extra Virgin Olive Oils may use these marketing terms. Extra virgin olive oil is produced by crushing the olives without adding any heat or using any chemicals and in fact, all extra virgin olive oil is produced this way even if the label doesn’t call it out. Extra virgin olive oils might list the type of olive or olives the oil was made from, as well as the country or region the olives were grown. Like wine, these indicators help suggest the typical flavors consumers might expect from that oil. Some manufacturers blend different extra virgin olive oils together in order to offer a consistent flavor profile all the time. Also like wine, the best way to determine which ones to buy is through trying different oils with different foods. Refined Olive Oil – During production, oil with high acidity or flavor or aroma defects will be refined to remove the defects, resulting in Refined Olive Oil. Refining removes odors and flavors using heat and physical or chemical processes. Most seed and nut oils are solvent-extracted and then refined; refined olive oil begins with the natural extraction from the olives and the following refining process for olive oil does not involve solvents such as hexane. Olive Oil is a blend of refined olive oil with some virgin or extra virgin olive oil added back for flavor. Olive oil has a mild olive flavor, making it a great oil to substitute for other common cooking oils like vegetable oil and canola oil without changing the taste of the recipe. Because it is mostly refined, olive oil has a higher and more consistent smoke point range from about 390 degrees to about 470 degrees Fahrenheit. Baked goods made with olive oil have a light texture and stay moist longer than those made with other common cooking oils. Olive oil’s subtle flavor and heat resistance make it well-suited for dressings, marinades, sautéing, grilling, roasting, baking and pan-frying. 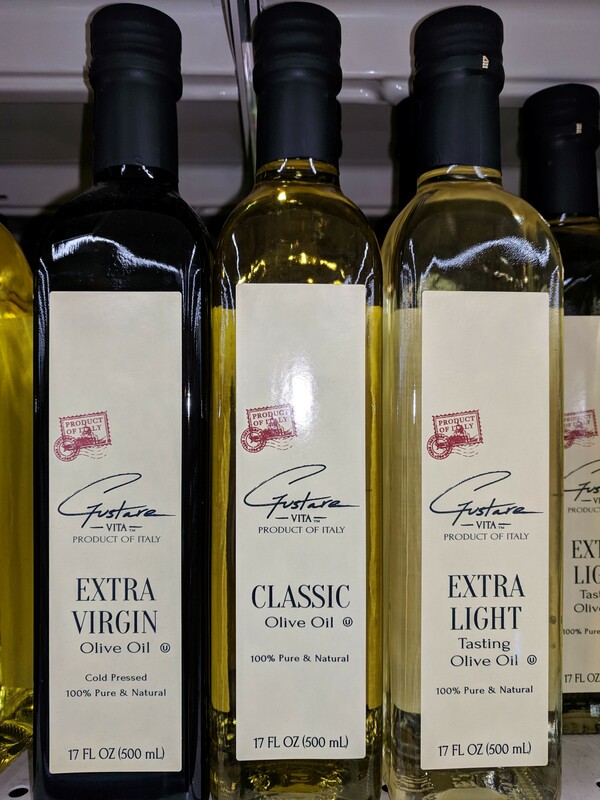 Classic or Pure Olive Oil is the same as Olive Oil and always refers to a blend of refined oil with some EVOO or Virgin Olive Oil added for flavor. The fat and calories are the same in ALL grades of olive oil. Olive oil does NOT get better with age. Look for the furthest out “best by date” when purchasing. Store olive oil in a cool, dark place and tightly covered; under these conditions, it should remain fresh for about 18 to 24 months. An open bottle of olive oil can also be refrigerated to extend its shelf life and such is especially recommended in hot, humid environments. Refrigerating olive oil may cause the oil to become cloudy and even solidify; this will not affect the flavor or quality. At room temperature, the oil will return to its normal consistency and color. When stored properly, olive oil will be safe to consume after the “best date”. Oil should be discarded if an off odor, flavor, or appearance is detected. Olive oil is very high in monounsaturated fats and contains a modest amount of vitamins E and K. True extra virgin olive oil is loaded with antioxidants, some of which have powerful health benefits. 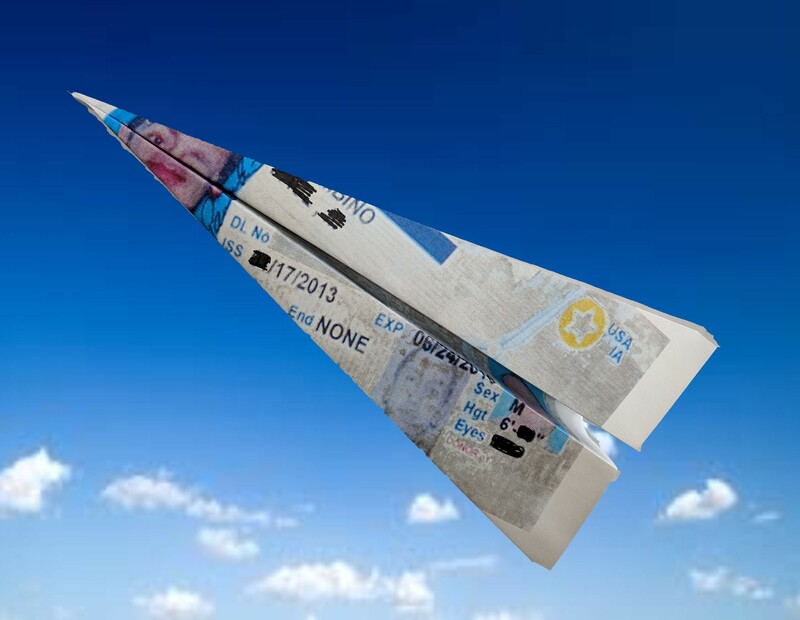 Does your driver’s license fly? Beginning October 1, 2020 (just 18 months from now) air travelers will need a driver’s license or ID card known as a Real ID to board commercial domestic flights and enter certain federal facilities such as military bases. A passport or certain other federal documents (those issued by the federal government’s Trusted Traveler Program) may be used as an alternative to a Real ID for travel or entrance to federal facilities. Since the inception of the Real ID in 2005, states have been gradually implementing the security-enhanced features required by federal law. So what is the Real ID and how do you know if you have one? A Real ID looks the same as any other driver’s license, contains the same information, is made of the same materials, and has the same security features designed to prevent tampering, counterfeiting, or duplication. To determine if you have a Real ID, begin by checking your driver’s license. Most compliant states have issued the Real ID in conjunction with the state issued driver’s license; those licenses that are compliant will have a gold or black star in the top right corner. If you see that, you are likely good to go! While that sounds simple enough, there is a lot of confusion. Most states are now compliant with federal regulations, but 12 states remain as non-compliant or have been granted an extension to a given date. Four states (Hawaii, Ohio, Tennessee, and Utah) issued compliant IDs without a star. Arizona and Kentucky have given citizens the option of a Real ID also known as a Voluntary Traveler ID or an old style driver’s license (non-compliant). If for any reason your license does not have a star in the upper right corner, check with your state DMV (Department of Motor Vehicles) or local driver’s license bureau for more information. 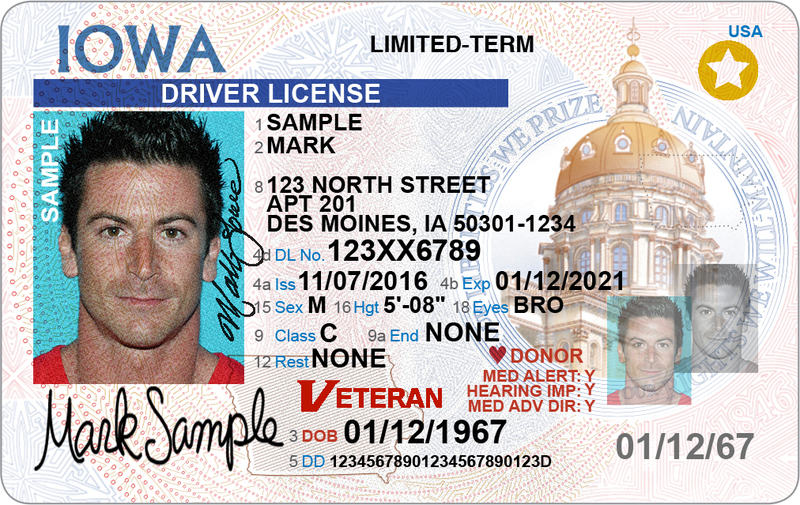 As of this writing, driver’s licenses issued by Iowa, South Dakota, and Minnesota are compliant. To learn more about Real ID and state compliance, check out REAL ID/Homeland Security. Bottom line, if you plan to travel by air or enter a federal facility requiring ID, you will need a Real ID unless you have other proper identification; for travel, that would be a passport. If you do not anticipate either scenario, a Real ID is not needed. I enjoy traveling every chance I get. 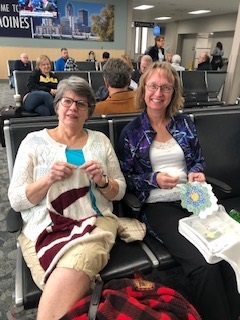 While waiting at the airline gate for my last trip I struck up conversation with two women who were working on craft projects. As you can see one was knitting and one was quilting. As we visited about their projects they told me they had their sewing machines in their carry-ons and were going on a sewing cruise! What fun! I am aware of several different themes for cruises – musical groups, weight loss, bird watching, etc. – but I had not looked into sewing or craft cruises. They were going on a 10-day cruise that had several ports of call but also incorporated four days and most evenings at sea for passengers to focus on the sewing projects they brought. This particular cruise was sponsored by Singer Featherweight so there was a Maintenance Workshop for their machine included for every cruiser signed up with Singer as well as a tune-up kit for their machine. It has been very interesting for me to research some of the cruise possibilities for crafters. You can pretty much find a cruise to match whatever craft you enjoy doing: sewing, quilting (including long arm classes), needlepoint, embroidery, knitting, crocheting. Always check to see what is included with the cruise before signing up. Some provide the machines, others allow you to bring your own machine and offer perks to go along with that. Some have you bring your own projects to work on while others have pre-assembled kits available for purchase. Some give you 24 hour access to the sewing and crafting room while others offer set hours. Most often there are instructors available and if a specific company is offering the cruise a company representative would be available. If you enjoy cruising and crafting this might be right down your alley! To begin, 1 tablespoon of freshly grated ginger is the equivalent of 1/8 tsp dried ground ginger. Keep this equivalency in mind when purchasing fresh ginger. Since it is usually sold by the pound, choose a rhizome that fits your needs as closely as possible. That aside, the piece that you have may still be more than needed. Ginger will be okay on your kitchen counter for a day or two but it is better stored in the refrigerator. To store in the refrigerator, place the rhizome in a storage bag or container; it will keep 4-6 weeks in the refrigerator. Do watch the rhizome for molding, softness, discoloration or off smell or appearance; these are signs of spoilage and if detected, the rhizome should be disposed. Like other fresh fruits and vegetables, fresh ginger contains enzymes that break down its starch and pectin over time. If longer storage is needed, fresh ginger can be frozen. To freeze, peel the skin off the rhizome if desired (peeling is done more for aesthetics than need). Removing the skin may be easier by scraping with the edge of a spoon or knife rather than with a vegetable peeler due to it’s gnarly and irregular shape. Ginger may be frozen in pieces, grated, or finely chopped. Pieces should be wrapped tightly in foil or a freezer bag with as much of the air removed as possible. Grated or chopped pieces freeze better by making small piles on a parchment lined baking sheet or in an ice cube tray and placed in the freezer for a couple of hours; once frozen, put the small piles in individual freezer bags or into a freezer bag, again removing as much air as possible. Fresh ginger will maintain its best quality in the freezer for about 3 months but will remain safe well beyond that time; in fact, ginger that has been kept constantly frozen at 0°F will keep indefinitely. Another method that some use to preserve fresh ginger is to submerge pieces in alcohol. Cooks Illustrated experimented with this process by using vodka and sherry and compared the flavor and texture to frozen ginger. After four weeks, the submerged samples were grated and cooked in a stir-fry. The samples retained their ginger flavor and grating ease as well as the frozen ginger; however, the ginger stored in sherry picked up sherry flavor. The takeaway on the experiment was that fresh ginger stores as well in vodka as freezing. A note of caution here as the same may not be true beyond the four weeks used in the experiment. Even though we have ginger year-round in our markets, ginger has a season. 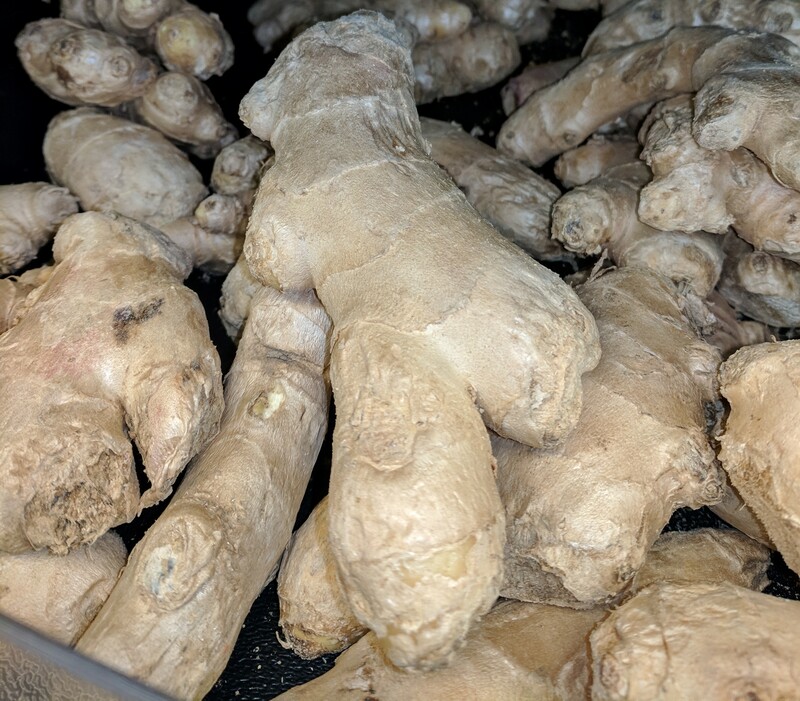 Young ginger is usually more readily available in the spring (April and May) and is not as strong flavored or as tough and fibrous as ginger that has been stored for year-round availability. It is juicy and plump, has a fresh lively taste, and a pink blush; the skin is so thin that peeling is generally not necessary. If you are a fresh ginger fan, this would be the time to pick up a large quantity and freeze it for future uses. Tax season is upon us. The last day to file for most taxpayers is April 15 unless an extension is filed. Most people find the tax rules complex and confusing. If you need assistance with tax preparation, free preparation and advice is available from AARP (American Association of Retired People), the IRS (Internal Revenue Service), volunteer organizations, and some commercial tax advisors. AARP Foundation Tax-Aide offers free tax preparation assistance February 1 through April 15 to low- to moderate-income taxpayers—especially those 50 and older—at 5000 locations nationwide. This service is open to all (no AARP membership required) with service provided by IRS-certified volunteers. Check the Tax-Aide Site Locator or call 888-227-7669 toll free to find a nearby site. Federal and state tax assistance is available at most locations. One should contact the site to confirm availability and check hours before going. And also check this AARP site for what documents to bring with you. Tax Counseling for the Elderly (TCE). A federal grant program provides tax preparation assistance to those 60 and older from IRS-certified volunteers. 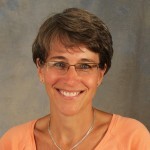 Many of the TCE sites are operated by AARP Foundation Tax-Aide. For more information, call 888-227-7669 toll-free or check here for a nearby site. Volunteer Income Tax Assistance (VITA). Under another federal grant program, IRS-certified VITA volunteers provide tax-preparation services to older Americans, low- and moderate-income filers, people with disabilities and those with limited English language skills. Generally, taxpayers must have an annual income below $55,000 to qualify. Call 800-906-9887 or check here to find a nearby VITA site. IRS Free File. 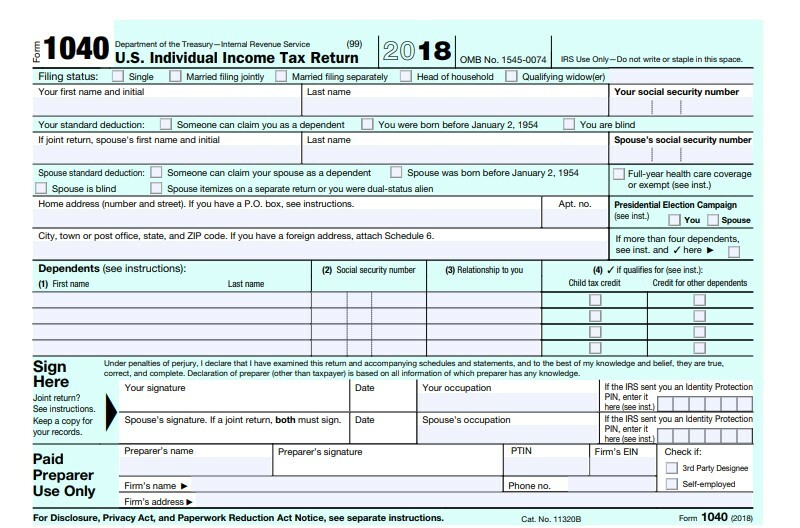 Taxpayers with incomes below $66,000 are eligible to file federal tax returns online through IRS Free File using software from select partners like TaxAct and TurboTax. To browse options and confirm eligibility, visit Free File Software Offers. IRS Taxpayer Assistance Centers (TACs). Help is also available at local IRS offices that host a Taxpayer Assistance Center. An appointment is necessary and services vary by office. Check the IRS site to find a nearby location. MilTax Filing Service. Mil Tax from Military OneSource and the Department of Defense provides easy-to-use tax preparation and e-filing software to active duty military personnel and select others, including spouses, dependent children and survivors. Consultants are available to provide 24/7 phone assistance at 800-342-9647. Check the Military OneSouce site for more information. Do-it-yourself online options. Several for-profit tax providers (H&R Block, TurboTax, Credit Karma Tax, TaxAct, DIY Tax and TaxSlayer Simply Free) offer online filing tools. Check their individual websites to see if their offerings fit your needs. A local tax professional. The National Society of Accountants says nearly 90 percent of accountants and tax prep professionals offer free client consultation. 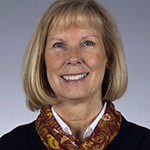 To make sure that the consultant is qualified, check the Directory of Federal Tax Return Preparers with Credentials and Select Qualifications for a listing of preparers in your area who currently hold professional credentials recognized by the IRS or who hold an Annual Filing Season Program Record of Completion. The temperature is so cold today that it is a perfect day to stay inside. I like to take advantage of these kind of days to mix up some spice blends that I will use year round. One of my favorites is a fajita seasoning mix from a recipe that I found on the internet years ago. I have been making it ever since. The combination of spices and the addition of cornstarch make great flavor and it thickens up sauces when used on both meats and vegetables. I now provide jars of this seasoning to my extended family as well! You can be assured that they let me know when their jars are getting empty! 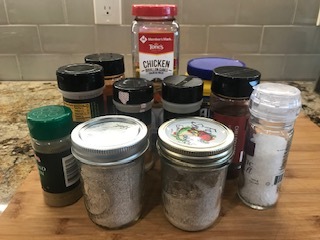 There are many combinations of spices that can be put together, but here is the recipe that I use. If you are interested in other spice mixes check out these recipes from North Dakota State Extension.